We’re back with our 12 Days of Christmas Collaboration, hosted by Kim over at Later Levels! On the fifth day of Christmas Collab, Kim asked of me: The party is still going strong and you find yourself conveniently positioned under the mistletoe. Which video game character would you call over for a cheeky kiss? If this were real-life me, I’d probably notice I had somehow wound up under a sprig of mistletoe, gasp, and jump across the room while spilling my eggnog all over myself before standing in the corner pretending to drink until all the blushing stopped. There’s a reason I’m single, people. But this challenge is for the brave people who don’t flee at the thought of having to be assertive about their feelings, right? Okay, I got this. 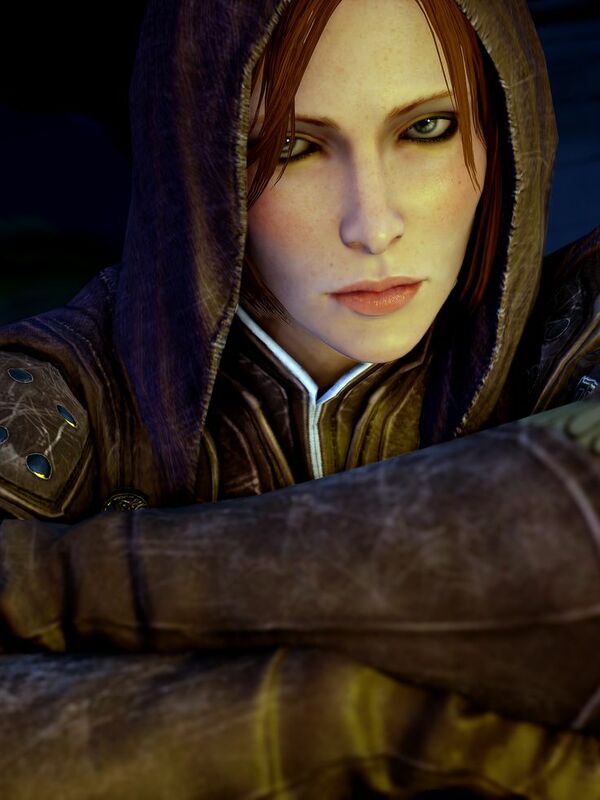 If I were to completely pretend to be someone else, I don’t think anyone would be surprised that I would want to call Leliana from Dragon Age: Origins over for a “cheeky kiss.” She seems like the type of person who would fill the “cheeky” part nicely. She has a Grey Warden for any mistletoe shenanigans. There are so many other options, though, right? Midna from Twilight Princess? Too intimidating. Thane from Mass Effect 2? Too male. Meryl from the Metal Gear Solid series? Too “I ship her with Solid Snake way too hard to be okay with that.” Solid Snake himself? No, I’m totally kidding with that one. Then I tried to think of characters I’d be okay with spending time with during the rest of the evening. See, I’m not the type of person to just smooch someone because I can. I want a reason. “What’s my motivation?” and all that. Well, luckily I found myself in such a scenario the other day. I had just finished diagnosing Saren and completing another job out by Saturn when I was invited to a Christmas party at the newly-rebuild Citadel (yes I am messing up so many timelines with that statement). Anyway, I found myself sitting next to a quiet communication specialist who seemed about as uncomfortable as I was, but who had been hiding it well by sticking to one or two people she was obviously friends with. As the night wore on, we wound up talking near the snacks. Time seemed to fly by, and a few hours passed before I excused myself to grab another drink from the kitchen. There was a bit of a crowd, and after making small talk with a woman with red hair and the asari next to her, I finally jostled my way through and found myself halted by a group watching two men in a push-up competition. All was well until I noticed I was standing in a doorway. “If I don’t look up, it won’t be there,” I thought to myself. I glanced up. I gasped. I started to jump when a strong hand grabbed my shoulder. I choked on my eggnog even as I looked across the room in a panic at the comm specialist I had been talking to. She was watching me carefully. Suddenly the soldier smiled. “I’m just teasing you, Doc. I wouldn’t force that on you. But you should still loosen up a bit.” And she walked away. I exhaled and turned, only to choke again. The comm specialist was standing right in front of me. “You called?” Samantha asked with a cheeky smile. What about you? Who would you call over for a cheeky kiss? Are you braver than I am? Have you ever been caught under the mistletoe unexpectedly, or do you prefer to not kiss and tell? Let me know in the comments! I identify very strongly with this post. When I was single, the idea of somehow ending up in a real-life mistletoe scenario would be horrifying. Even if I thought someone was cute or whatever I’d be so socially uncomfortable that I probably would just run away! If it makes you feel any better, my IRL Social Awkwardness level is so high, I’d never be at the party in the first place, haha. 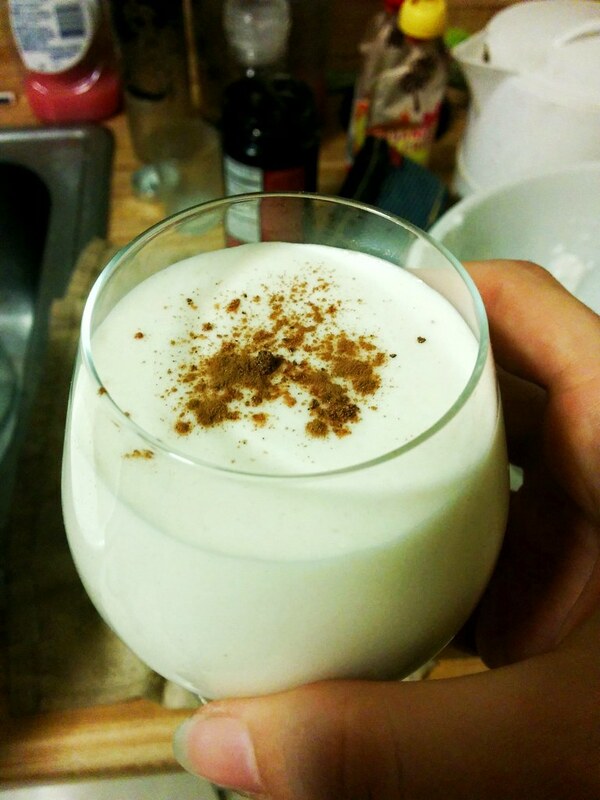 *sips eggnog in corner* Yep. I love this! Your story was amazing to read. And your choices were great too, though I’ll admit I know next to nothing about Dragon Age still. I know, I have to change that. For me, I’d probably pick Zelda or Tifa (since she shares a name with my wife), as long as it’s a cheeky kiss, so as to not offend the Missus! Hahaha, what a fun story, and very on character for the Normandy crew and known associates. Also, I’ve said it before about the DA: Origins characters, but seeing as it works for the Mass Effect guys, I am just gonna say it again: they are ridiculous and they are supposed to save everyone! I know, right? I guess we’re suppose to feel good that “heroes” were probably just making it up as they went along? ?